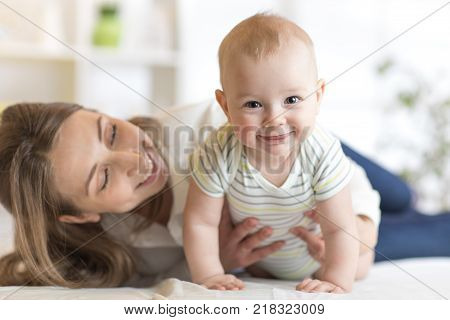 Mom and baby boy playing in sunny room. Mother and little infant kid relaxing at home. Family having fun together.